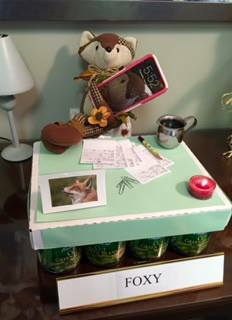 For our November 2015 community service project, the team created the “Fox on a Box Food-Raiser.” This is our version of the popular “Elf on the Shelf” holiday tradition but with a Thanksgiving twist. 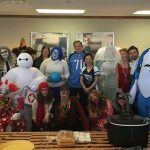 Each team member created a themed display incorporating our friend Foxy along with canned goods and other food items that will be donated to The Family Center. Originally opened in 1990, The Family Center is an independent non-profit organization in Columbia, Tennessee. The organization provides immediate hands-on assistance for families in need. They focus on restoring stability and teaching families how to solve problems.